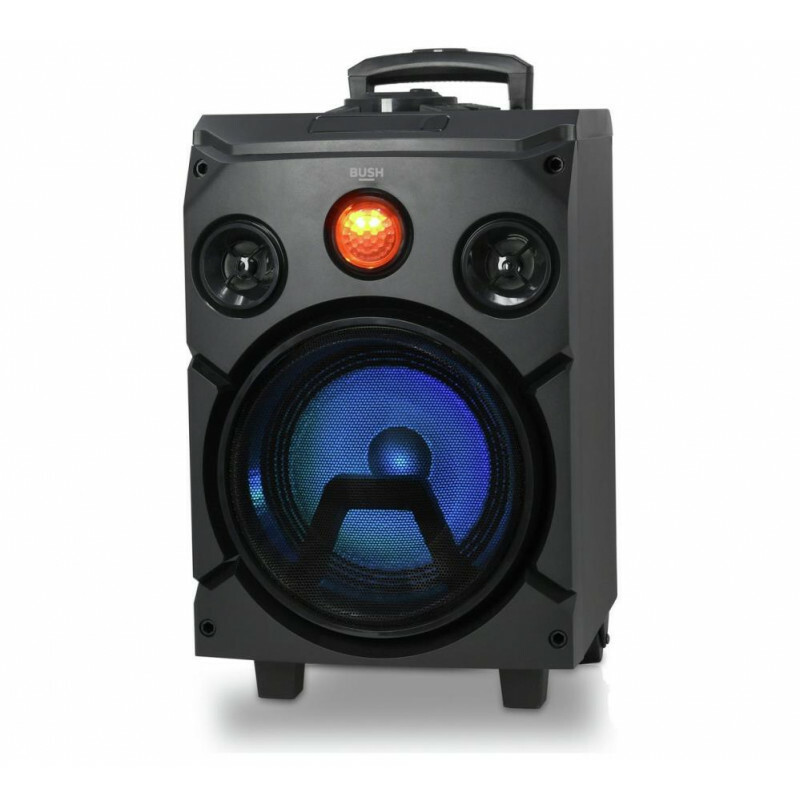 The multi-colour light display feature will compliment your music. 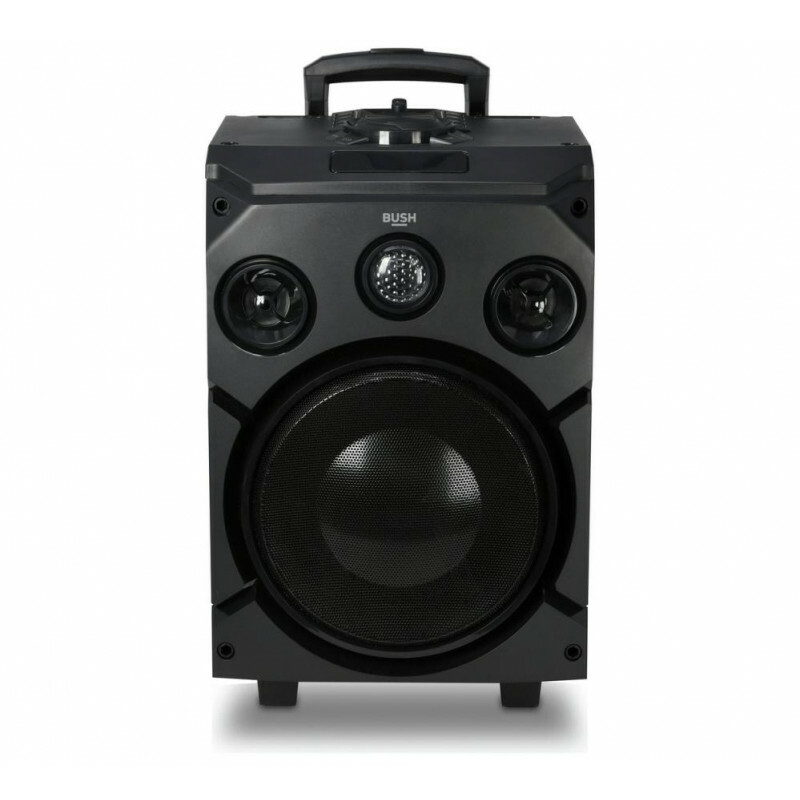 Blast your favourite tunes out loud and get people on the dance floor with this large high-power party speaker by Bush. 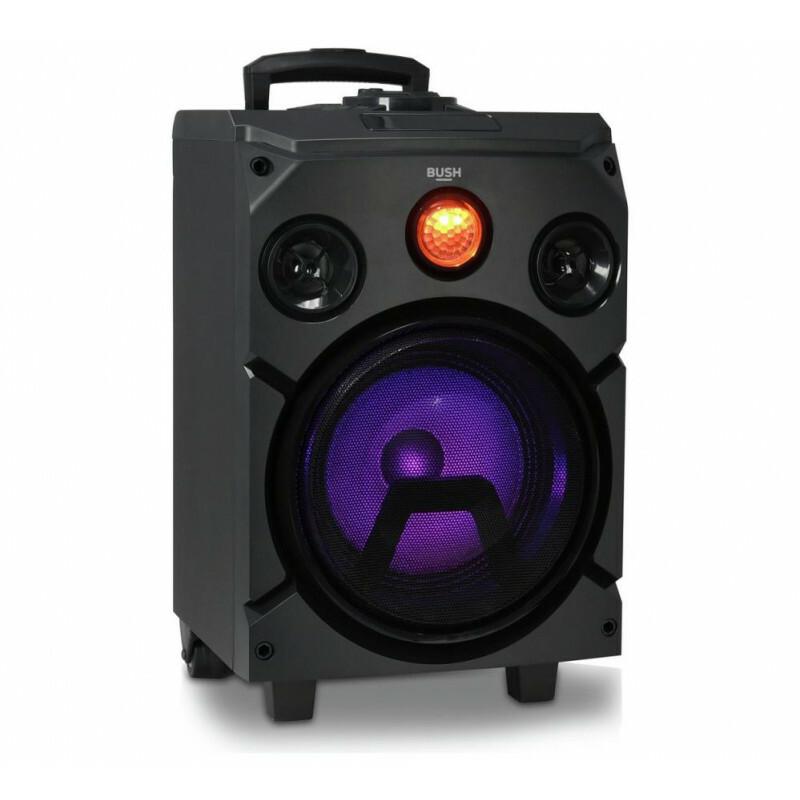 The multi-colour light display feature will compliment your music and create the perfect party vibe. 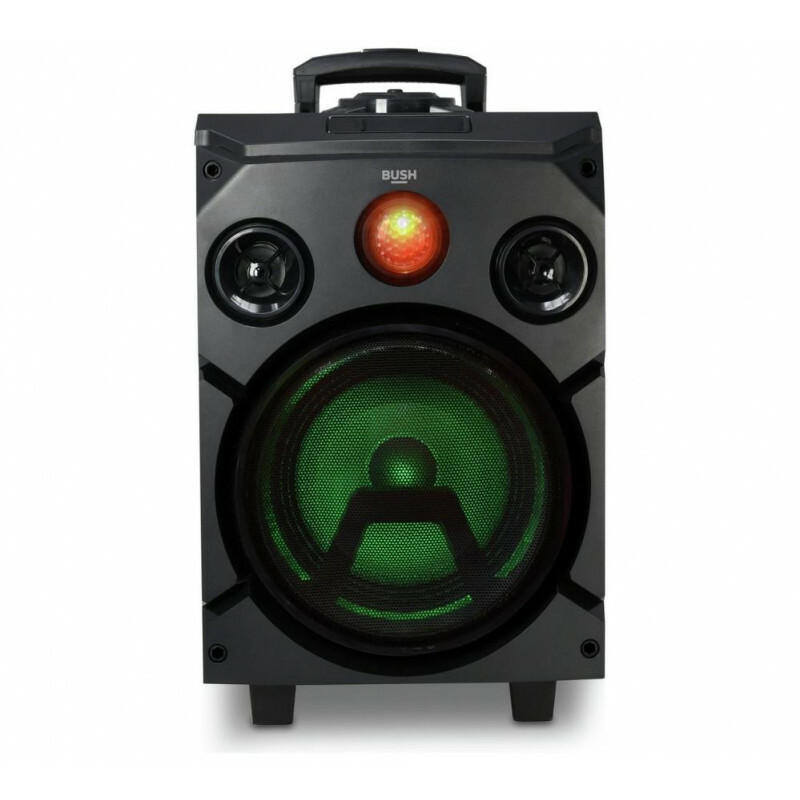 Use the USB or AUX port to play your favourite party anthems or even tune in to the radio for a spontaneous playlist. This speaker comes with a rechargeable battery and a handy trolley handle so you can easily take your tunes with you anywhere, the party doesn't stop till you say so.